If you’re in So. California, join Lipstick League members we heart this on February 10th at Beauty for The Beasts; an event they’re co-hosting at Cristophe’s Salon that benefits animal rescue. Book a service (like a $40 blow-out) or just come for the gift bag – they’re worth $200! It’s going to be a good time for a great cause. Question of the Week – What is your favorite face cleanser – foaming, creamy, soap, whatever – and why? Answer – Creamy all the way! The rest are too drying, I usually use the sort of cream cleanser that you’re supposed to remove with cotton wool… except I use a very-well-wrung-out flannel instead. Clumps of Mascara – hasn’t been on the MAC Cosmetics bandwagon in a while and this mascara didn’t help her regain her love for the brand either. EauMG – It’s happy hour! Pull a stool up to the bar and read this perfume review of Vince Camuto for Women. Lipglossiping – continues exploring the brighter side of lipstick with the latest in her red lip series featuring a beautiful cherry red from Clarins. Gouldylox Reviews – Pictures don’t lie! You won’t believe the before and after this mascara gave me. And it’s under $10! Nouveau Cheap – The new Nivea Lip Butters have finally landed in the US! Warning: you may be tempted to eat these with a spoon (but please don’t). Pink Sith – Has a review of the taupest taupe taupe that ever tauped taupe or as normal people call it, Sephora Collection Outrageous Prisma Chrome Metallic Eyeshadow in Taupe #6. Prime Beauty – found a drugstore BB cream worthy of praise in Lumene’s Vitamin C+ Illuminating Anti-Age BB Cream! Phyrra – Are you a Good Witch or a Bad Witch? Phyrra decides to be Good with the Urban Decay Disney Oz, the Great and Powerful, Glinda Palette. Vampy Varnish – Urban Decay’s new Oz The Great and Powerful Collection is fabulous. Check out lots of photos and swatches of The Glinda Palette and The Theodora Palette! we heart this – We’re co-hosting Beauty for The Beasts at Cristophe’s on Feb. 10, beauty to benefit animal rescue. Salon services, champagne, gift bags – we’ll see you there! Beauty Junkies Unite – See why Amber absolutely loves MAC Party Parrot Lipstick, you won’t want to miss this hot hue! 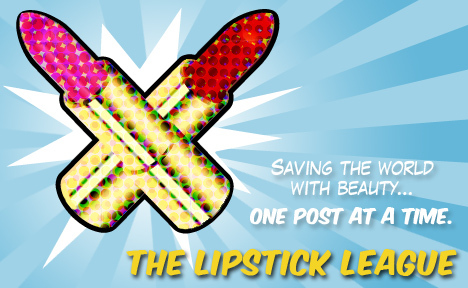 Guest Post of the Week, as chosen by Clumps of Mascara – Fellow beauty girl and mommy friend of mine is loving those Maybelline Vivids lipsticks as much as I am. Ishah Beauty has be wanting to haul that vibrant orange lipstick. What’s your preferred type of cleanser? Micellar water! I use Sensibio for dry skins and it works like charm!